Are points-based customer loyalty programs on the way out? Points-based customer loyalty programs are set for extinction as consumers push for more dollar-based rewards and earning points on credit cards becomes harder. That’s the view of founder and CEO of online cashback website Cashrewards, Andrew Clarke, who predicts loyalty points systems will be phasing out year on year. One of the reasons he attributed this to is the recent interchange credit card fees introduced by the Reserve Bank of Australia, which will see Australian credit card holders having to spend more to get their frequent flyer points as banks face reduced revenue from fees they use to purchase points from airlines to pass on as rewards to customers. Clarke noted consumer sentiment in its latest research supporting this theory, as well as growth in online cashback demand. According to Clarke, membership for his site grew 10 per cent month-on-month, averaging about 100,000 new members in the last 12 months. In 2015, the site drove $150 million in consumer spending to retailers including eBay, Expedia, David Jones, Dan Murphy’s, Woolworths, Coles, ASOS and the ICONIC. Clarke also pointed to Catalyst Research conducted last year, which found 68 per cent of shoppers wanted money off their shopping, rather than frequent flyer points. He believes all of this data points to a decline in Australia’s long-standing love affair with loyalty programs. The comments came after reports by Fairfax media this week suggested Woolworths may have to redirect hundreds of millions of dollars into cutting shelf prices due to poor response from customers to its new-look $500 million loyalty program, launched last year. Rather than with points, the ‘Woolworths Rewards’ program rewards program was designed to reward shoppers with dollars off their grocery shop, and was based on Catalyst Research, which showed more customers wanted money off their shopping, rather than points (68 per cent versus 9 per cent). However, the program has come under fire this week after an underwhelming response from customers and suppliers to the new scheme – suppliers because they don’t receive the same increases in sales volumes as they do by investing in promotions, and customers because they believe they’re earning far less than they were under the previous set-up. The problem is that rewards are now only earned on select products marked with orange tickets and special offers, rather than on every dollar spent above $30 in stores. Clarke said consumers globally are all feeling points take forever to accumulate. “A recent study by RateCity showed that one well-established retail rewards system awards one point per dollar spent, but for a $150 shop, that only equated to about $0.75 value in points,” he continued. “It’s no wonder consumers are confused and frustrated. In comparison, online cashback rewards give immediate earnings as a percentage on what they have spent at the online retailer, from 1.25 per cent to 20 per cent, Clarke said, regardless of whether they’ve purchase promotional items or not. Globally, the 2015 Cashback Industry Report found cashback rebates are now worth more than $84 billion globally. In a recent study, Capgemini also questioned the approach being taken to customer loyalty programs, arguing they have largely not adapted to the digital age. The report, Fixing the Cracks: Reinventing Loyalty Programs for the Digital Age, identified participation rates in loyalty programs are frequently low, with 89 per cent of social media opinions on loyalty programs reported as negative. 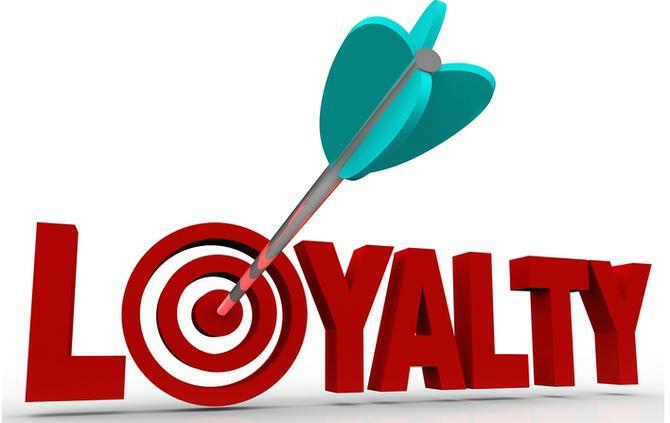 The research revealed 97 per cent loyalty programs still follow a basic transactional philosophy, where rewards are simply based on purchase. Only a small minority of programs (16 per cent) recognised and rewarded consumers for engaging and interacting with the brand in other meaningful ways. These included rewards for taking online surveys, rating and reviewing establishments or referring friends to the program. A mere 14 per cent employed gamification mechanisms to reward customers. Significantly, the report showed most loyalty programs lacked personalisation and failed to offer cross-channel redemption services.